Modern korfball coaches recognise that when you have the widest range of options in play you are more likely to be successful. This means moving from some traditional strategies based on gender – such as males taking attacking roles and females feeding roles – to more flexible ones, with anyone being able to take on any role. It means moving to gender neutral strategies. For this to be achieved the coach needs to be committed to ensuring there is procedural justice to enable all players to acquire the knowledge and skills to perform all roles. 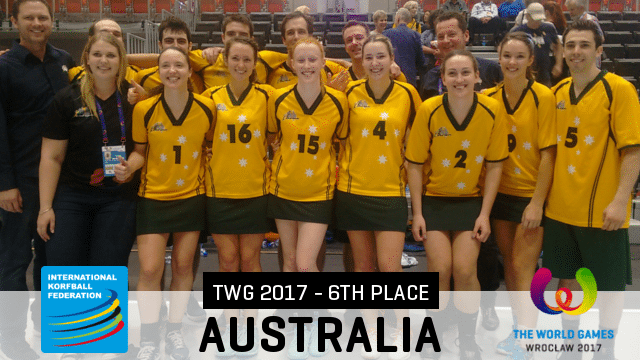 It will suggest that achievement will be more likely if in training a “game sense” approach is used – players recognising and understanding purpose in a game type environment as in the korfball division groups of four as exemplified in the Youth Korfball Five Week Program and in the Primary Korfball Teachers Manual. This organisation encourages the highest level of cooperation between the genders. One can take the game sense approach even further to enhance personal as well as group awareness and understanding in the training and playing environments. The “total korfball” approach takes into greater consideration the physiological and psychological aspects in play. This approach is outlined in the Korfball Coach Level 2 course for more experienced players but it can be used at any level with appropriate adjustment to meet levels of understanding and technical ability. Another gender related dimension to this is the process of recruitment, training and support for coaches. Fair process for both genders will inspire female and male players to become coaches by providing gender neutral coaching education and support in and after training. Success will be demonstrated when there is gender equality in coach numbers at all levels. The gender-sensitive coach is the most important and influential figure in the development of players. They do this through their guidance in developing gender neutral korfball. This should strengthen respect and valuing between the genders.